Didn't plan it this way, but this post fits in with the recent article on catching bad arguments in a video, and thinking critically. 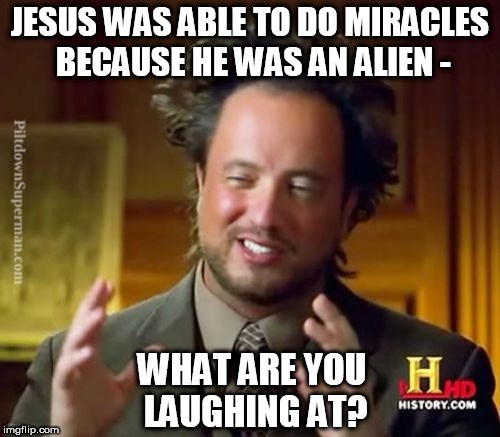 Every once in a while, someone goes into the weird stories corral and trots out the story that Jesus was able to do those healings because he was an alien. While he did cross some regional borders, I mean alien as in from outer space. This idea is usually found among New Age enthusiasts, and they have a passel of aliens in their worldviews. If you study on it, you'll notice that these beings claim to be more highly evolved, and traveled from way up yonder to our planet to show us the way. That way involves throwing away the Bible and believing what they say about Jesus and the coming world religion. For them, Jesus is not God the Son, the Creator, the second person of the Trinity. They "prove" their claim by assuming it (circular reasoning), and have lousy evidence. Their reasoning is sorely lacking as well. Aliens, the invisible friends of evolutionists, supposedly evolved somewhere, but cannot supersede the laws of physics, since they are not the Creator. I know this "meme" is a mite overused, but I just had to this time. Notice that atheists, evolutionists, New Agers, and other cultists try to put biblical creationists on the defensive. They will make claim, such as "Jesus was an alien", and too many of us let them take the lead. It shouldn't be that way. We need to challenge them to substantiate their claims, and that such claims are self-refuting. Not only with weird cultic beliefs, but also with the many assertions made to support deep time and gunk-to-gunsmith evolutionism. It reminds me of the "Jesus was a good moral teacher" nonsense. (Some atheists even claim to be "Christians" because they like some of Jesus' teachings!) Would a "good moral teacher" or an alien make the claims about himself that Jesus made, and fulfill prophesies? Not hardly! 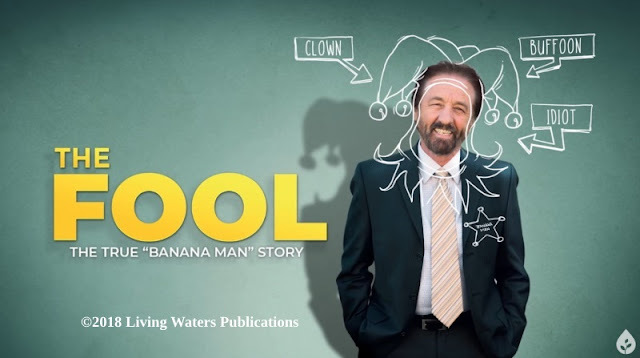 The best interpreter of Scripture is Scripture; don't be taking things out of context, and examine more than just a few cherry-picked verses to support circular reasoning. Ironically, they are rejecting the Bible while at the same time appealing to it. I can show you some atheists that "reason" the same way. The following article shows how the alien Jesus claim is dispatched with truth and logic. There are also several helpful links included. 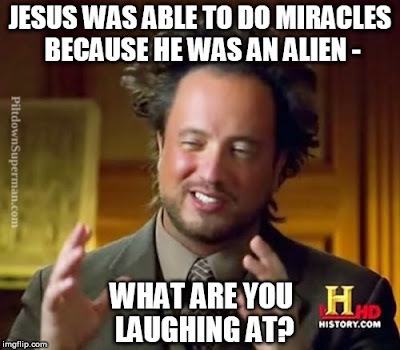 I’m not sure if this particular conspiracy is discussed here, but some people make the outrageous and ridiculous claim that Jesus was merely an alien and NOT the Son of God, pointing to his various miracles and resurrection as proof that he was an alien visitor. Apart from the impossibility of the existence of aliens and the infallibility, inerrancy and inspired nature proving that he is the Messiah, what would you say to these people? There are several reasons beyond the ones you mention for why the ‘Jesus is an alien’ idea is a ludicrous conspiracy theory. I hope you'll read the rest. To do so, just click on "Was Jesus an Alien?"